Technology has created a wide variety of ways to reach audiences all over the world. It just takes is a little thinking outside the box and you can market a self-published book in creative, affordable, and impactful ways. Consider book tours! Tours are a great way to connect with your readers and technology has made them easier and more cost effective than ever! 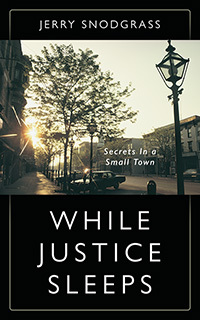 Author Jerry Snodgrass is taking his latest book While Justice Sleeps, on tour — a Virtual Book Tour with Outskirts Press. This will allow Jerry to take his book into the far corners of the globe, all from the comfort of his own home! Keep an eye out for Jerry’s book as he will be featured on several blogs over the weeks and months ahead! Luckily for us, Jerry was kind enough to answer a few questions as the tour was getting started so that we can give you a sneak peek into the mind of the creator of While Justice Sleeps. OP: Tell us a little bit about While Justice Sleeps. What is it about? Jerry: A murder mystery in a small town. Jerry: I enjoy writing stories about crime in sleepy towns. Jerry: I self-published my mystery novel through Outskirts Press. Jerry: Due to the content of my book, I believe adults, military, and former military, along with law enforcement personnel will be interested in this story. Jerry: The suspense! A murder mystery must have suspense. Jerry: I write from the experience I’ve gained in life- of course, not from a criminal’s point of view. Jerry: Yes, I have 12 self-published books. Jerry: Yes, there are many more stories to be told. OP: Thanks for your time, Jerry! We look forward to learning more about you as you visit other bloggers! 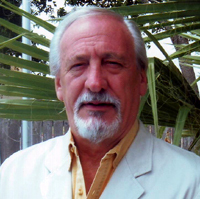 Jerry Snodgrass was born in Butler, Missouri in 1938. He entered the military after graduating from Indianola, Iowa high school in 1957, and for over fifty years, he lived his dream, serving in military and federal service, traveling to exotic locations. Jerry is a Vietnam veteran and a life member of the Veterans of Foreign Wars and the American Legion. Jerry currently lives in Austin, Texas with his wife Rosemary and their Yorkie, Stormy. While Justice Sleeps is the first novel in the new Jake Walker series, inspired by his fascination with the modern Texas lawman.